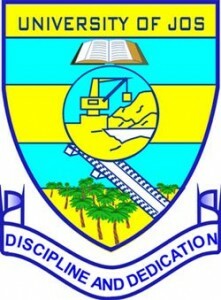 The University of Jos (UniJos) has awarded degrees to 18, 348 graduating students, out of which 165 graduated with Doctor of Philosophy Degrees (PhDs) and 33 others graduated with first class. Prof. Seddi Sebastian Maimako, UniJos Vice-Chancellor, made the disclosure at the 29th and 30th combined convocation of the university. Maimako said that in the bachelor’s degree category, 1,950 graduated with second upper division, 5,738 second class lower, 3,149 third class and 351 ordinary pass. The VC said that 734 passed and qualified in medicine and pharmacy, 399 got Diplomas, 103 Postgraduate Diplomas, 2,906 masters degrees and 2,820 were backlog of those who could not be awarded degrees in the last convocation. Three distinguished Nigerians were also awarded honorary doctorate degrees. The vice-chancellor urged the graduating students to be good ambassadors of the university. Maimako said that the university was committed to the development of the nation and the realisation of the national economic recovery of the President Muhammadu Buhari led Federal Government. “To this end we have embarked on an intensive staff development programme designed to create a pool of lecturers and allied staff whose pedigree would be regarded as globally distinctive. “In the last two years, 363 staff of the University have been given approval to undergo various training programmes including 134 being sponsored for PhDs, 88 masters, 57 bachelor’s degrees 84 others for other certificates,” he said. The VC said that there has been steady increase in students’ enrolment from 5,000 to 8000 and the students population has increased from 21,000 in 2008 to over 38,000 in 2018. He commended the proprietor of the University, the Federal Government, for supporting the institution in all its endeavours and for discharging its role as proprietor with distinction. Maimako, however, said that the university was being faced with acute infrastructural deficit and appealed to the Federal Government to come to the aid of the institution. The Chancellor, Oba David Olagbegi III, the Olowo of Owo Kingdom commended President Buhari for his exemplary leadership. The Chancellor particularly commended the President’s for his unrelenting effort in ensuring peace in Nigeria. “This has provided the needed conducive atmosphere for academic and social activities on the campus. “I commend the efforts of the federal and state governments, different security agencies, religious and traditional leaders in achieving this feat,’ he said. Prince Tony Momoh, Pro-Chancellor and Chairman Governing Council of the University said that the council was synergising with the management to move the university forward. Momoh appealed to the President to assist the university in terms of infrastructure development and value addition to increase the carrying capacity of the institution.